After many years of using a mediocre pair of binoculars, the day I bought my very first monocular literally changed my life because I could take it everywhere. I am an outdoorsman and spend a good part of my free time hiking, observing nature, and doing a little hunting. However, since I discovered the monocular, I want to spend all of my free time, and then some, outdoors. As I said, I used a mediocre pair of binoculars and had decided to replace them. Then out of curiosity, I tried out a monocular and I was hooked. 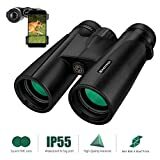 So if you’re into the outdoors, hunting, hiking, birding, golfing or anything that requires long distance viewing, the Best Monocular might just be a great choice for you. If you’re considering the purchase of a monocular, you’ll want to know something about the product in order to choose the correct one for your activities. Consider the viewing range, the design, and your wallet. To help you, we’ve done our homework and considered the features, accessories, and the price and come up with a list of ten of the best monoculars available. So save some time and read this best monocular review before making your purchase. What is a Monocular and why use one? How did we pick the Best Monocular? The outdoorsman uses lenses for a variety of purposes. A monocular is basically a very small, miniature telescope that uses one lens. You hold it in your hand and use one eye to do your viewing. Some can be as small as the length of a finger or as thin as a pen. If you have space or weight issues, the monocular may be just what you need. Easily stored in a pocket or a fanny pack, you’ll be able to see those far away animals, objects, concert stages or signs with ease. And the monocular has the added advantage of functioning as a type of magnifier. You can pull it out of your pocket, hold it over text or an object, and it will be magnified. It also is a great product for people who may only have adequate sight in one eye. So the monocular can be a terrific choice, which isn’t limited only to people who spend time in outdoor activities. The more commonly used “binoculars” are named for a set of two lenses that allows the user to scout or to observe. Fundamentally, a monocular offers the same characteristics as the binocular but at half the weight with only one lens. By contrast, the monocular is more compact, weighs less, is easy to handle and transport. If you plan on observing for lengthy periods of time, you will probably want to opt for a set of binoculars because it is more comfortable for the eyes. However, one should remember that binoculars are also bulkier and heavier. So, you may also get tired of holding them. A serious fan of some outdoor sports like an Aficionado often bring along a tripod for lengthier observation. Add the bulk, the weight, and the tripod and that’s quite a bit to manage. Also, consider the price in relation to quality. Depending on your budget, you can buy a very cheap to a very expensive set of binoculars, but you can find a higher quality monocular for the same price as a lesser quality set of binoculars because you’re only acquiring the single lens. So you may seriously wish to consider a monocular just to get a better quality product for the money you can spend. With the advancements in technology, there are many types of monoculars to consider when choosing. Depending on your specific needs, you may think about compact monoculars, night vision infrared monoculars, and thermal imaging monoculars. The particularly compact monocular will fit in the palm of your hand thanks to its very small size. You’ll have great transportability without sacrificing good distance viewing although the optics may be less powerful than in standardly sized monoculars, as lesser magnification due to smaller lenses is one limit. Although, they will probably cost a little less. Do you need to see in the dark? The identical technology used for binoculars is available to the monocular user. The monocular can have quality infrared technology, which will allow for high-quality distance viewing after dark. These monoculars use larger lenses with potent magnification to collect light even at nighttime so you can view objects with relative ease. If you’re hunting at night or in the early morning hours before daylight, and want a hunting monocular, this might be your choice. Usually, the technology can be shut off, so the monocular can be used for daytime activities as well. The thermal imaging monocular also finds its way into the category of nighttime monoculars. This type of monocular detects heat from other people or animals to provide a picture specifically for the dark. This type can be used both day and night and can be a great monocular for hunting prey that is hiding in the bushes. Other aspects that you will want to take into consideration, especially if considering tactical monoculars, are if the monocular is waterproof allowing you to do your hunting or hiking in the rain. Will it withstand water, fog, and humidity? Will it offer certain durability and ruggedness coupled with powerful distance viewing? Does the monocular assist you in determining the distance between what you’re viewing and your position? Some products offer a reticule for identifying how far away you are from your target. Is the monocular dust proof? As you’re outdoors, this can be important. And finally, don’t forget to consider the high definition high quality monocular. This aspect could be the make or break feature for bird watchers or nature watchers in general. With such a wide variety of products available and the mechanism they use, it can be confusing and very difficult to choose which are the very best. Any good marketing campaign will assure you that this or that product is the absolute best. In choosing, we rely on years of experience along with extensive web research and numerous consultations with experts. We also tested our listed products through community-based utilization to be able to compile our list. We listened very carefully to our in-the-field testers for their observations about what works best, eventual drawbacks and pleasant surprises when using the monoculars listed. This included feedbacks from hunters, athletes, hikers, bird watchers, and even concert attendees among others. Lastly, we considered the overall quality of the product. We considered the design, the construction, the image quality, the resistance to elements when operating outdoors, the durability, any and all the features and the ease in using the monocular. We considered all of these aspects in relation to, above all, the cost for the consumer. When considering the Optic quality, there are several aspects to consider. These include the magnification potential, and the size of the lens and how it affects the amount of light it can gather. Logically, the higher the power is, the higher the price. With monoculars, you will find two numbers for the magnification. For example, 4 x 28. The 4 represents the power of the magnification while the second number represents the size of the front lens or objective measured in millimeters. The lens size will have an effect on its function. A larger lens can gather more light and this will result in higher quality images when using high zoom, at sunrise or at sunset. However, a larger size also entails more weight to carry and more bulk. Monoculars use three principal types of prisms internally to better the images: Roof prisms, Porro prisms, and Galilean. The first is excellent for long distances, the second is more adapted to shorter to mid distances and the third is great for close ranges. The field of vision or view pertains to the diameter of your subject as viewed from various magnification power levels. The range of your view will decrease as you increase the magnification. Some more expensive monoculars will be sealed completely and filled with what are called “inert gasses”. If the lens is sealed, it is impossible for dirt or water to enter. If the tube is gas filled, you will have a better image. As gasses from the atmosphere allow for some distortion of the light passing the monocular, the inert gasses in a sealed tube, don’t allow for split, refracted or reflected light, guaranteeing you a better image. Waterproofing for the monocular is a must. If water gets inside, you will have to toss it. Once you think you have found the right monocular, look for its IP rating, which measures its water resistance. The letters, “IP”, will be followed by two numbers. The first number, from 1 to 7, is indicative of protection from intrusions such as dust or dirt: 1 is the lowest with 7 as the most protective. The second number pertains to water and varies from 1 to 9, with 9 offering the most protection. How long will my monocular last? The durability of any product is important when spending those hard-earned dollars. What materials did the manufacturer use for the exterior? Are the features fragile, or resistant to atmospheric influences and to the method of transport for example in a backpack, fanny pack or pocket? Focus adjustment refers to a focus ring, which allows you to perfect your focus. Some monoculars offer a design permitting one-hand adjustment while others require two hands. The Eye Relief may be important to you if you wear glasses or just prefer the lens a little more distant from your eye. It refers to how far or close your eye should sit from the lens at the rear to see a perfect image. Finally, customer feedback is always important when evaluating a product and the correspondence between quality and cost. What am I getting for the money I spend? Which is the best monocular for the money? In formulating our top ten pick list, we have kept in mind the various types of monoculars available and have chosen accordingly. Magnification Power, Lens size and diameter, Lens coatings, prisms, and the FOV were all considered at length, as were durability, the waterproof rating, inert gas filled monoculars, focus adjustment, eye relief, and the quality to cost ratio. We felt it important to identify all types of great monoculars so that you can find the specific product that meets your requirements of a monocular. We advise that you focus on your needs as opposed to being drawn into spending a lot of money for one enticing technological characteristic. Below you will find our Top Ten list and hopefully the right product and the best monocular for you. Our number one pick is the “Wingspan Optics’ TITAN 12X50 High-powered Monocular”. This is one of the most powerful monocular units, if not the best available today. It offers an advanced “DiamondBright” Technology to ensure clarity and color and offers great power. This monocular is easy to operate and comfortable to use, allowing for one-hand focusing; thanks to the design that incorporates a comfort grip. With a strap slot, you can have it in your hand in a matter of seconds. The optics technology used in it is revolutionary for the accuracy and precision it provides. Its wide-view permits you to find your preferred target at a distance of approximately 1000 yards. Terrific for bird watchers, hunters or lovers of nature, this jewel is waterproof, fog proof, and drop proof with the durability of an armored car, thanks to its external cover made from “DuraArmor”. This Titan offers all the great features you look for in a monocular and is very affordable. Even if you’re out attempting to conquer the most challenging and rugged of terrains, with all the risks that this entails, Wingspan offers this monocular with a lifetime warranty. In case of any damage, it will be replaced. And they offer a thirty-day trial period. Try it for thirty days and if you don’t like it, you’ll get your money back. Wingspan offers a monocular with fantastic optics, a convenient size and weight, and a great field of view and depth of field. The construction is solid and the form attractive. The 50mm. the diameter of the objective lens allows for lots of light to enter and function in low light conditions as well. The Titan 12X50 Monocular comes with a nylon mesh transport case, both lens and eyepiece covers for protection, and a microfiber, non-abrasive cleaning fabric. Objective lens diameter 50 mm. Eye Relief of 14 mm. Quick and easy identification of your target thanks to the wide view and zoom function. The attached lens cover provides you with immediate protection in case of necessity. It has a good coefficient for the transmission of light for dim lighting situations. It also offers a limited lifetime warranty. At 14 ounces it may seem heavy to some people. The tripod is easily tipped as a result of the weight. Considering the quality, the wealth of features and the pricing, the Wingspan Optics’ TITAN 12X50 High-powered Monocular is rightly so, our top-rated monocular. We appreciate the fantastic magnification power and the lens diameter. A lifetime warranty and thirty-day 100% money back trial period speak for themselves as to the seriousness of this manufacturer. We also like the construction and durability factors. All told, you get great features, in a quality avant-garde product for a very affordable price. Hats off to our top choice! Looking for a cheap monocular? Not everyone can or wants to spend a lot of money for a monocular. Our choice for the best cheap monocular is the Roxant Grip Scope High Definition Wide View Monocular. This monocular is well built, sturdy yet very lightweight at only 7.8 oz. Its size is a very comfortable 1.5” x 5.5”. It has a comfort grip for long periods of viewing, which does not slip, making it relatively easy to keep steady when holding. In spite of reduced dimensions, this monocular offers magnification power of 6X combined with a 30 mm. diameter for its objective lens. Roxant offers a high definition view thanks to their use of optical glass for the ocular lens and glass that has a very low light dispersion. The lens is fully multi-coated with a premium coating and is all glass. It has a BaK4 Prism to guarantee great transmission of light for optimal brightness and clarity in the images. The Field of View is an impressive 250 feet at 1000 yds. The wide-view characteristic gives 6 X 30 viewing. 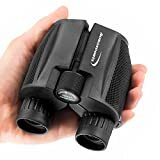 Perhaps not the strongest of magnification but certainly more than adequate for activities outdoors, camping, concerts, hiking, archery, hunting, boating, aquatic sports, target shooting, and even mountain climbing. This monocular is small, compact and durable. It has an eyecup, which is retractable for those wearing eyeglasses and an easily adjustable ring for focusing. The exterior features a good grip due to bumps on the sides and a non-slip finish. This Roxant monocular comes with its own pouch, neck strap, and a cleaning cloth. Objective lens diameter is 30 mm. This monocular has a good solid magnification ratio and lens diameter. The optical glass that has a very low light dispersion. It offers a nice bright, clear picture with the wide view field. The magnification is somewhat low so you may not be able to see really distant targets. We like this product for its combination of good basic optics, light comfortable weight at a very affordable price. If you don’t want to invest a lot of money or maybe can’t, but still desire a monocular for your outdoor activities, this Roxant monocular is a terrific bargain buy. It has many of the qualities of more expensive monoculars. Although not at the top for monocular performance, it could be the start of something big for a beginner, a child or teenager, or as an added attraction for your favorite hobby. Our choice for best compact monocular is the “Wingspan Optics Tracker 8X42 Compact Wide View Monocular”. This monocular boasts an incredible field of view of 388 feet at 1000 yards providing a phenomenal panoramic view. It features a magnification power of 8x with a competitive 42mm diameter for the objective lens. You will be able to observe distant targets in nature’s beautiful panoramas, while viewing the details, too. Nature enthusiasts and sports fans alike are enthusiastic about this wide view monocular. It uses advanced optics to provide one of the clearest and brightest images on the market and features adjustable eye cups to lessen eye fatigue whether you’re wearing eyeglasses or not. In this manner, you can observe for longer periods of time, and on a tripod, if desired. Another fantastic aspect is that this monocular has a lifetime guarantee against debris, dust, dropping, water and spills, and the climate. It is equipped with a single hand focus to facilitate your viewing. The focus wheel is large and ergonomically designed for greater comfort when using. Unfortunately, this monocular comes without some type of rubber grip to prevent slipping when handling. But consumer feedback indicates that, in spite of this, it is relatively easy to hold onto. Do you want a brighter view of nature’s beauty? This Wingspan Optics Tracker is durable, easy to use and priced reasonably. The Monocular comes with a carrying pouch, a lens cover, neck strap and cleaning cloth for the lens, and has a limited lifetime warranty. It offers a sharp image with amazing clarity as well as an excellent depth of focus. Comes without a rubberized grip on its body. May need a tripod for prolonged viewing. We chose this monocular for our list because of its very large field of view and panoramic viewing potential. Its design is ergonomically attractive and we think the larger focus wheel with single hand operation is particularly appealing. We also like the idea of the bright clear images that it provides. And the lifetime limited warranty is indicative of quality in a product and seriousness on the part of the manufacturer. It is well worth the purchase price. This is a luxurious monocular, to say the least. If you’re in the market for something really special that offers superb quality and price is not a problem, this might very well be the best option for you. The Leica Monovid features an excellent lens that offers fantastic resolution giving you a great image every time you use it. Images are crystal clear with no peripheral distortion. The focusing is very easy. The Field of View is relatively good considering how small the monocular is. This stylish compact monocular is lightweight at 112 grams and comes in an elegant black, red or aluminum case. It’s the perfect size for your pocket. Whether you use it outdoors or at the opera, you’ll have a great performing monocular that detects the finest particulars. The Leica Monovid offers great macro potential as well. This Leica Monocular has an accessory lens for close-ups so that you can look at targets as close to you as 10 to 12 inches, such as insects or flowers. You simply screw this accessory lens onto the front lens, which gives you the macro effect for those super fine details. This Leica can also be used as half of a binocular, as a minute telescope and as a macroscope. What more can you ask for! And this monocular comes with a beautifully crafted leather case with magnetic closure for storage that boasts a special pocket for the close-up accessory lens. Leica offers a 3-year warranty, which is not transferable. Front lens diameter 20 mm. Length 97.9 mm and Diameter is 35.5 mm. It can be used for many varied activities. This monocular is perfect for just about everything from bird watching to spectator sports to an evening at the opera. It has an elegant construction and beautiful leather case, but above all, it offers superb optical performance with sharp, clear views. While the only con might be the price, which isn’t for every wallet, the pros are numerous. If you like luxury and high-quality performance, and you’re able and willing to make an economic investment, this Leica deserves your full attention. This wide-angle, high definition monocular is a high power monocular that provides 8X magnification with a 42 mm objective diameter of its wide lens. It offers an impressively large field of view at 360 feet per 1000 yards. If you love the outdoors and enjoy hunting, this is definitely a monocular for hunting. Or if you want to get your children involved in the outdoors, this durable monocular is child-friendly and childproof. It’s waterproof, dustproof, fog-proof and yes, shockproof. So if you accidentally drop it, no damage. It has a built-in dust cover for the lens, which can protect the lens from moisture, dust, and debris. It has a rubber external finish, which protects the monocular in extreme climate conditions and limits any eventual shock impact from bumping, jostling or dropping. This monocular boasts a high light transmittance reaching up to 99.9% and it has low light night vision as well, as well as an HD wide-angle view with minimal distortion in light reflection. The compact design permits single hand operating with adjustable, flexible eyecups for use, whether you wear eyeglasses or not, and the design is children-friendly, too! Feemic offers enviable durability. This Feemic monocular comes with a lifetime warranty and a thirty-day money back guarantee. If for some reason you don’t like it you can return it within the first thirty days for a full refund. This is a quality, high precision monocular that will provide you with great outdoor viewing. It’s perfect for hiking, climbing, hunting, bird watching, concerts or even golf. The monocular comes with a carrying pouch, cleaning fabric, a hand strap, and an instruction booklet. Objective lens diameter 42 mm. Field of View 360 ft. /1000 yds. Size 5.7” x 1.9 “ and Weighs 285 grams or 0.56 lb. A wide angle and high definition viewing. The manufacturer’s thirty-day money back guarantee and the lifetime warranty. Some customers have been disappointed with the clarity. Our verdict is that this monocular offers a great compact design with high-powered viewing. It’s comfortable and lightweight. The single hand operating is very convenient and the cost is contained. With 8-power magnification, you’ll have steady viewing even if only using one hand. Considering the lower price bracket, and even if priced ever-so-slightly higher than some similar models, this remains one of the better options in its category. So for value, durability, and portability, this monocular is a definite yes! This powerful monocular offers a brilliantly clear and bright image and is impressive despite its modest size. The small size doesn’t limit this monocular in any way in offering quality close ups and it is sturdily built to last over time in spite of accidental bumps or drops when facing rough terrain. With a 10x magnification zoom, this monocular allows observing your target as if close up. The 42 mm. objective lens diameter works even in lower light conditions. The “Opticomfort” eyecups are adjustable and can be quickly twisted either up or down to allow for comfortable high quality viewing whether you wear eyeglasses or not. You will be able to identify your target easily and you’ll feel like you’re standing face to face. The ProSpotter features a newer turning focus wheel, which is larger in size and can be operated with one hand. This monocular can be mounted on a tripod. The monocular comes with a protective carrying pouch, a neck strap, cleaning fabric and those oh-so-useful lens covers for protecting your instrument. It’s a great choice whether you are an expert or a beginning observer on the trail. 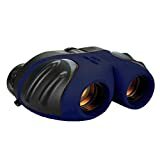 This Wingspan monocular is really very user-friendly for all of you nature lovers and outdoorsmen, with a strap slot that permits your monocular to be in your hand in a matter of seconds. It’s lightweight, very portable, and it’s debris-proof, drop proof, fog proof, slip-proof and waterproof ……perfect for any type of weather. It comes with a lifetime guarantee. This monocular has a reasonable price. Our verdict is, considering how easy it is to hold and the focus and quality of the image, this ProSpotter is a good basic monocular for the price that performs well for bird watchers and nature lovers. With the easy one-handed operation, and its suitability for all climate conditions, you’ll find that this powerful, light and compact monocular beats out the competition. It also has a lifetime warranty and comes complete with protective lens covers. The Solo Recon is a tactical Monocular with a magnification of 8X and a 36 mm. lens making it a fantastic choice for target surveillance. It is presented in a compact form that weighs 12.8 oz. and has been created to be carried as basic equipment, which can be easily and quickly utilized. It features reticle focus to permit the estimation of the range between you and your target. Outfitted with a handy clip, it can be attached to belts, webbing or other flat surfaces for quick access. The easily handled Solo R/T Tactical Monocular offers bright images in any climate condition thanks to full waterpro ofing and fog-proofing. The R/T Ranging reticle uses suspension lines for evaluating distance and corrections of windage. It provides silhouettes for fast-ranging. The ranging reticle uses milliradian angular measuring that allows you to do quick calculations regarding the distance of your target when compared to an object with a known dimension. To enjoy the benefits of the reticle you will want to know the measurements of objects in the general vicinity of your position. The compact design permits single hand utilization and you can adjust the lens with an easily accessed focus wheel. The Solo R/T Tactical Monocular has an upper focus wheel for adjusting the reticle and a bottom focus wheel to adjust the image. It also is fitted with a flexible rubber eyecup that guarantees great viewing with or without eyeglasses. The form of the eyecup design will block stray light if it is completely extended. This monocular can also be used with a lanyard. The monocular comes with a clip, neck lanyard, carrying pouch and cleaning fabric. Objective lens diameter 36 mm. Field of View 393 feet/1000 yds. Size 7 x 3 x 3 inches and Weight 12.8 oz. The ample eye relief, coupled with the exit pupil measurement, provide it with optics that you would usually find in a pair of binoculars. The absence of lens covers. At the end of the day, if you’re looking for the best monocular for hunting, this is a quality product at a reasonable price that won’t let you down out in the field. It is small, lightweight and comfortable when holding. This monocular is easily transported due to size and the attachment clip. A flaring rubber eyecup effectively blocks out peripheral light and both the optic quality and reticle do their duty, providing you with a good solid product for the money you spend. Vortex Optics Solo Monoculars 10 x 36 mm. The Vortex Optics 10 x 36 mm Monocular offers you an easily carried, compact monocular for enthusiasts of the outdoors. It is sturdily built with a casing created in polycarbonate and is nonetheless lightweight with its ergonomic design offering comfort when using. It features a handy, versatile utility clip for attaching this lightweight scope or you can opt for the neck strap. The monocular is coated with rubber to impede slipping and absorb shock if bumped or dropped. It’s totally waterproof thanks to o-ring seals that impede moisture, debris, or dust penetration. Gas purging with nitrogen guarantees a waterproof and fog-proof performance. With a magnification power of 10X and an objective lens measuring 36 mm. in diameter, this monocular offers good value for its size. The larger lens diameter permits a greater amount of light to enter improving the image even in a low light situation such as dawn, dusk or immersed in heavily shaded vegetation. The fully multi-coated lens will provide you with increased transmission of light to deliver a bright, clear image, while the easily adjusted eyecup includes intermediate setting choices for a more comfortable utilization. The wheel for focusing has a relatively quick mechanism which moves from near to far with very little movement, reducing finger stress and offering very fast focusing. If you’re a hiker or a backpacker, this monocular will provide you with a quality viewing of your surroundings. 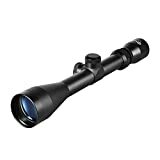 It is a terrific choice for outdoorsmen giving you good solid magnification but with significantly less weight than a pair of binoculars. The monocular comes with a carrying pouch, utility clip, and neck lanyard. Size 12.4 x 5.5 x 6 cm. A short eye relief measurement of only 15 mm. Diminished viewing capacity at 16 feet or less. While its resolution quality cannot compete with more expensive monoculars, it does give a very good performance at a much lower cost. It certainly ranks with the best in its class of similar monoculars, and in its price range, making it well worth the money you spend when purchasing. The lifetime warranty is unlimited and transferrable as well as no-fault. This monocular will provide trusted optics for hunters, and hikers alike. The focus ring may be initially a little stiff and require two hands, but the bright clear images with quality resolution make this a solid reliable monocular at a reasonable price. The carrying pouch is open on the sides, which can permit dust and dirt to get inside as well. The Bushnell Legend Ultra HD Monocular is a well designed ergonomic tactical monocular. It has a “Picatinny” rail to mount accessories and is compatible in the event of tripod use with a built-in tripod mount. It can be transported using a clip or worn with a neck lanyard. The 10X magnification provides stunning resolution for longer distances with exquisite detail. The Legend Ultra HD is made with BaK-4 Prisms guaranteeing wonderful clarity and uses fully multi-coated lenses to impede fogging. Bushnell also applied its “RainGuard HD coating” which gives permanent waterproofing. No rain, sleet, snow or condensation moisture to ruin your viewing experience. An added advantage is Bushnell’s use of the “ED Prime” glass to reduce color dispersion. You’ll enjoy the great color detail even at a distance. The monocular offers a good close focus distance at 6.5 feet. And the objective lens provides generous transmission of light, meaning that you can see in daylight or lower light conditions. The Field of View is also generous, measuring in at 340 feet from a distance of 1000 yards. The Focus wheel is on top of the monocular facilitating one hand use. The exterior is rubber coated for extra protection against drops or bumps and it comes in two colors! Bushnell offers a black matte finish version and a sand colored version for tactical use. As the Legend HD is purged with nitrogen gas, there’s no risk of fogging. And Bushnell is so confident about this product that they guarantee it with a “Bulletproof 100% Money Back Guarantee”. The Monocular comes with a carrying pouch, utility clip, and “Picatinny” rail. Objective lens diameter of 42 mm. An overly large carrying case that allows the product to bounce around a bit. Hard plastic lens caps which can cause creases in the rubber armor. This product deserves our recommendation. This really is a top-performing instrument and is consistently a best-rated monocular. We agree. The optics, durability, and image quality are all top notch providing outstanding overall product quality. 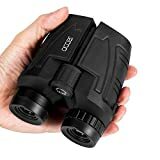 We also appreciate that this monocular offers both good focus at a close distance while offering a generous Field of View at a further distance. The fact that Bushnell offers you a “Bulletproof 100% Money Back Guarantee” speaks volumes about the quality of their product. For your money, the value of this product is excellent. A great monocular with some added versatility is the Gosky Titan 12 X 50 High Power Prism Monocular that comes complete with a smartphone holder. 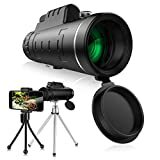 The magnification is powerful at 12X50 allowing you to see 12 times closer with a 50mm diameter of the objective lens that permits approximately 45% more light transmission than a 42mmns and the lens is green coated to guarantee the brightness of the images. Wow. The Field of View is 289 feet/1000 yards. 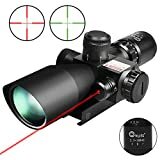 Along with a CFS (center focus system) allowing for single hand operating and exit relief that measures 17 mm., this monocular is definitely worth considering. The Gosky Titan uses a large Bak-4 Prism internally and a fully multi-coated coating for its lens. You’ll get bright, clean and sharp in all your viewing. This is a monocular created for adventurous outdoor types. The solid construction boasts O-ring sealing against water, dust, dirt, and debris, or humidity and moisture of any kind. The striped rubber exterior prevents slipping while handling. It features eyecups, which are easily adjustable and permit eyeglass wearers to use this monocular without removing their glasses. The original aspect of this monocular is found in its adapter for all types of smartphones. Whether you use Samsung phones, iPhones, LG, Sony, HTV or others, you’ll find that the adapter will hold your phone. 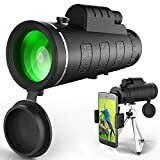 So if you’re on a safari, camping or bird watching, this monocular will bring the world you’re observing, incredibly closer with great ease. It’s tripod friendly and will help you capture memories of beautiful images to keep and to share. The monocular comes with a smartphone adapter, a carrying case, protective covers for eyepiece and lens, a strap and cleaning fabric. Some iPhone users have reported difficulties with the smartphone holder. The Gorsky Titan 12x50 High Power Prism Monocular rightly takes its place in our top ten list. The fact alone that you can photograph all the beautiful imagery you witness thanks to its smartphone holder, gives this monocular extra points, and we really like the objective lens measuring 50mm in diameter allowing for all that extra light transmission. Plus, in spite of the smartphone holder attachment, the Central Focus knob still allows you to operate your monocular with one hand. Our final verdict for this monocular is thumbs up, as the pros substantially outweigh any cons. Monoculars are basically low maintenance instruments, but now that you’ve invested, or are going to invest in one, you will want it to last. Here are some tips to keep your monocular in tip-top condition for many years to come. When you purchase your monocular, you will be provided with an instruction booklet that also indicates how to properly clean it. Always read the instructions thoroughly and follow them. The manufacturer will give you the best ways to keep the monocular in great condition during and after cleaning. Use a case. Protect your monocular especially when you’re not using it. An appropriate case will help protect it from dirt, grime, dust, and even moisture. Use a soft lint-free cloth when cleaning. Normally a cloth will be provided with your purchase. Don’t use just any towel or rag, and wash your monocular cloth whenever it appears dirty. After using your monocular outdoors, wipe clean the lens. You may add a drop or two of rubbing alcohol to remove smudges and dirt from the lens. Keep your monocular in a dry place. Chemicals and moisture can corrode your monocular. Even if it is waterproof, keep it in a dry location to avoid corrosion and damage. A small amount of maintenance can guarantee that your monocular will last over time. And regular cleaning will enhance your viewing experiences outdoors rendering them more enjoyable. When we think about selecting and purchasing the best monocular, we intend the best monocular for you, for your activities, for any of your specific needs and certainly priced for your wallet. Good value for the price you pay. In these monocular reviews, we have attempted to provide you with some fundamentals about a monocular, the types of monoculars available on the marketplace and specific characteristics of types and brands. If you hunt, you may prefer a tactical monocular with range estimation, reinforced exterior armor for rugged terrain and great sealing and waterproofing. And the Field of View potential will probably of great importance to your selection. Are you a bird watcher or observer of nature in general? You may prefer to give major consideration to how much detail you can view from a considerable distance or perhaps even close up. Consider the magnification power. As hikers or campers, you may prefer to give precedence to a compact monocular to avoid adding extra weight to the equipment you are already carrying and to conserving space. Going to the opera or theater? Size, appearance and distance viewing may be your priorities. Or if you want to begin using a monocular, but aren’t convinced about making a substantial economic investment, you may opt for a cheap monocular to get started. Whatever your budget allows for, the most important consideration when selecting and purchasing are your preferences and your needs. Don’t be lured into buying a monocular as a technological gadget, but choose wisely for yourself, because your monocular will bring astounding imagery to your indoor and outdoor adventures.